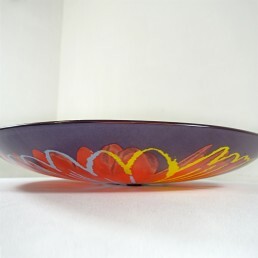 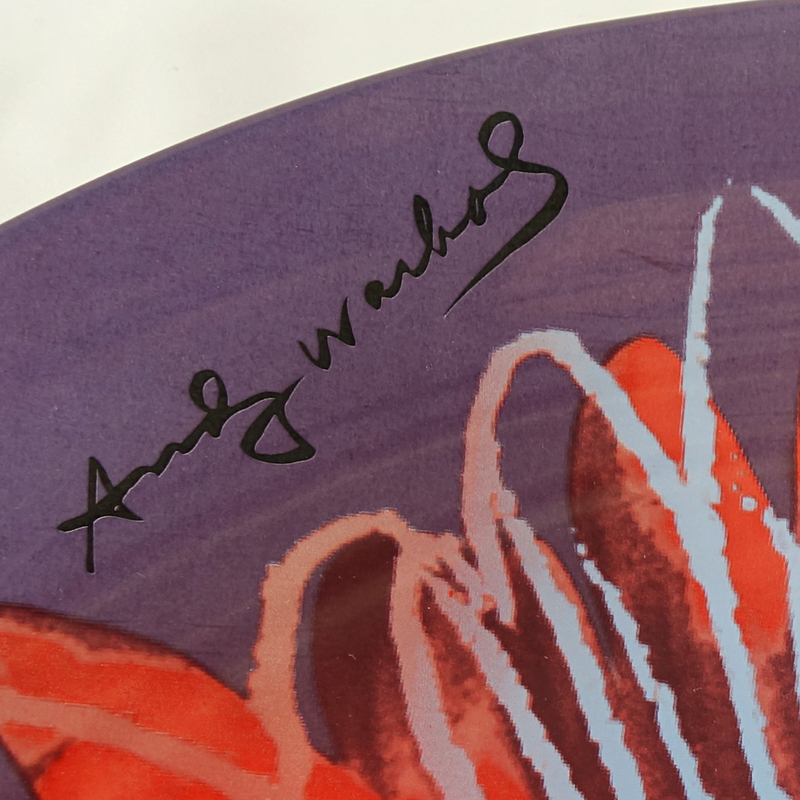 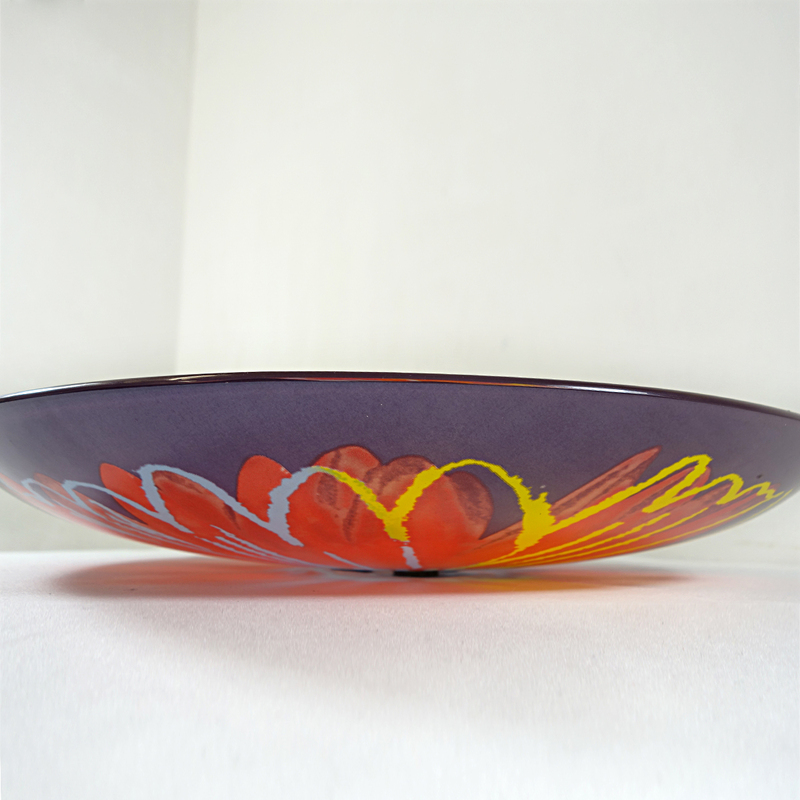 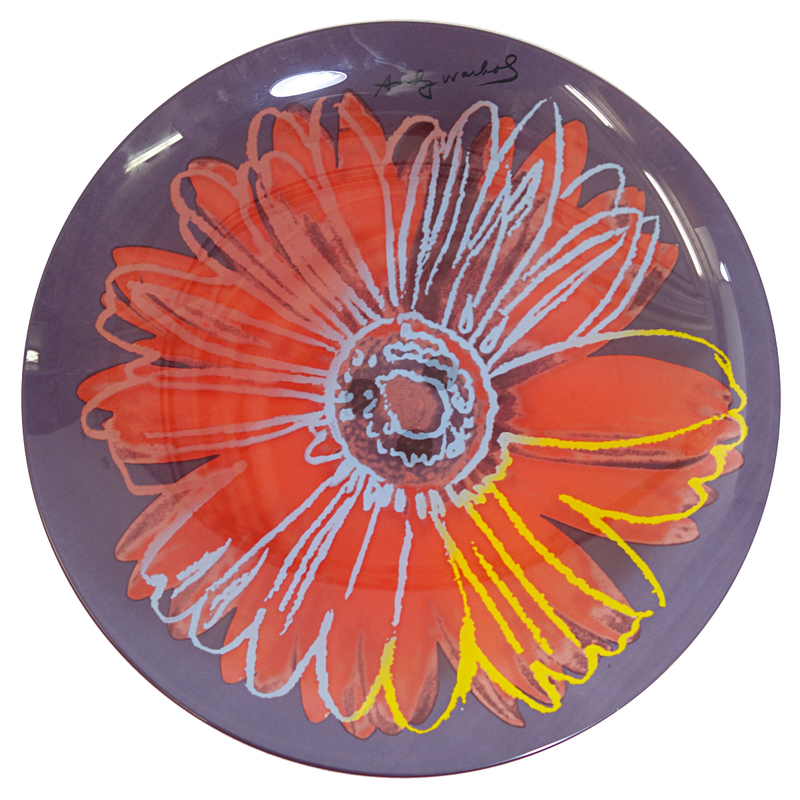 This huge painted glass bowl or plate depicts a Daisy by Andy Warhol, produced by the Rosenthal Studio Line. 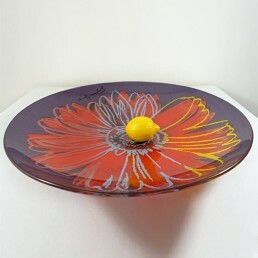 Its diameter is 53.5cm (over 21 inches). 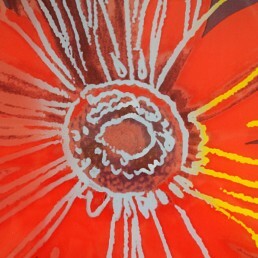 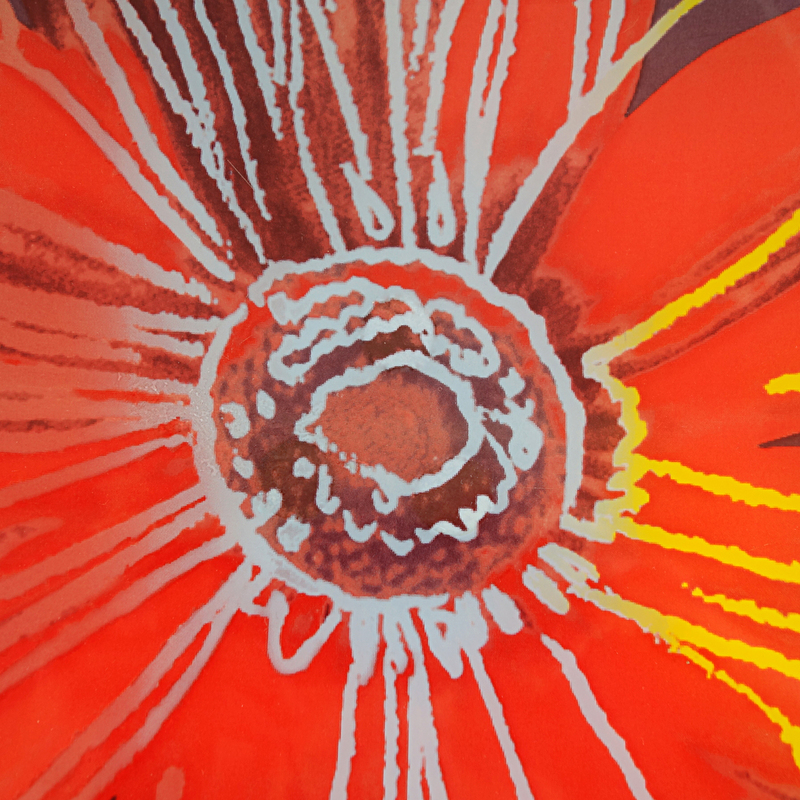 The beautiful red flower is set amongst an aubergine/purple background with blue and yellow. 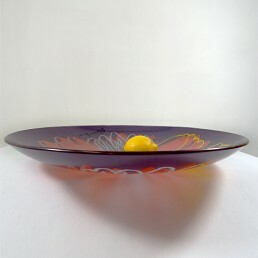 Great for serving or just as it is.